Shimmy Marcus, Artistic Director at Bow Street Academy for Screen Acting will deliver a two-day Workshop on the internationally renowned Gerry Grennell Method for Screen Acting. Shimmy is a multi-award winning filmmaker working in a variety of formats including Features, Shorts, TV, Documentary, Music Promos, and Commercials. He has been giving filmmaking and acting workshops for over 15 years and began training actors full time in 2013. Alumni of Bow Street and The Factory include noted actors Barry Keoghan, Brian Gleeson, Seana Kerslake, Peter Coonan, Niamh Algar and Ann Skelly. 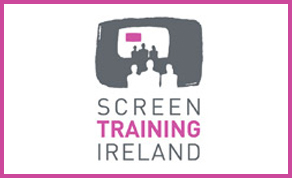 Please apply online at www.screentrainingireland.ie by Thursday the 15th of November at 10:00 am. Please include a headshot in your CV document in your members area of the Screen Training Ireland website. This course is aimed at actors.